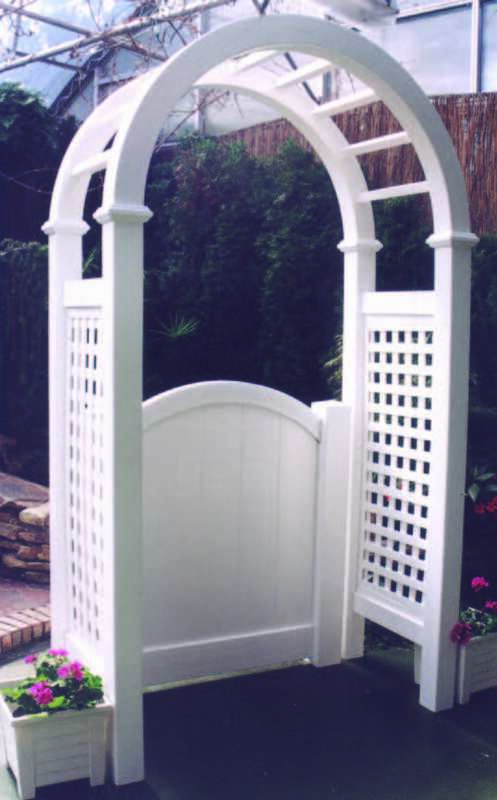 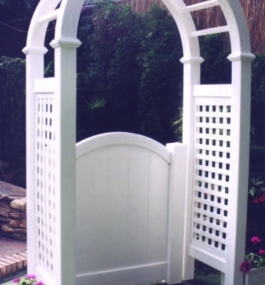 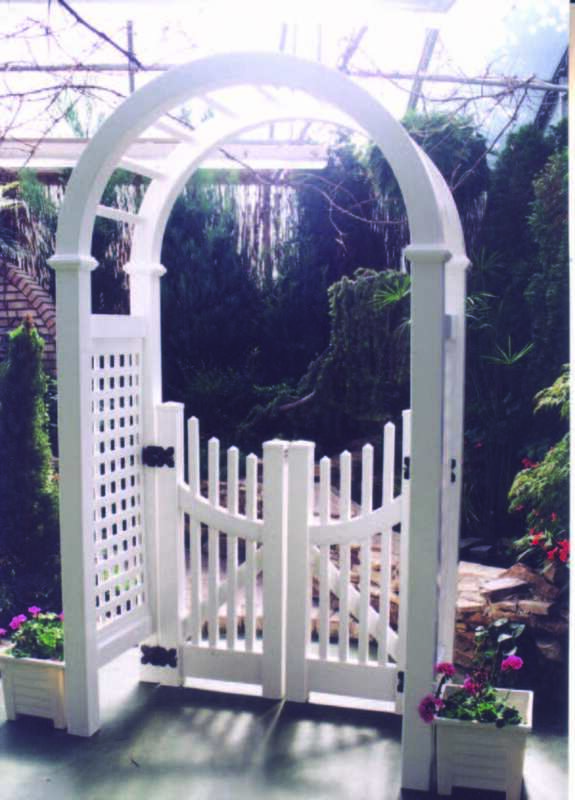 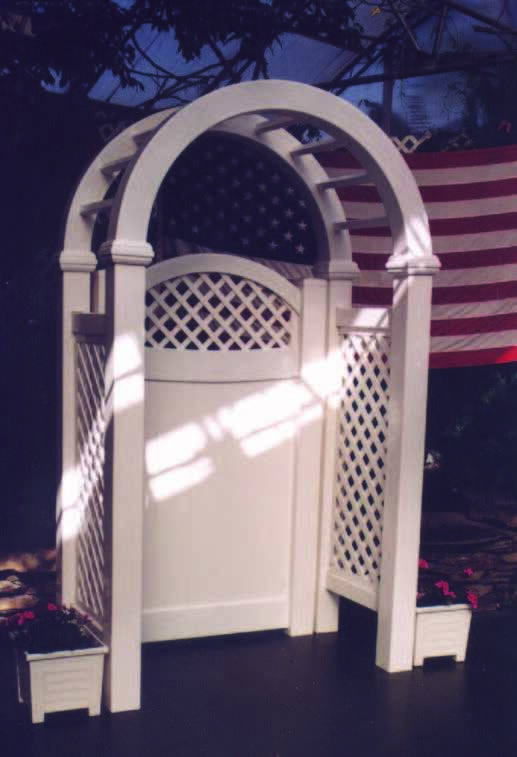 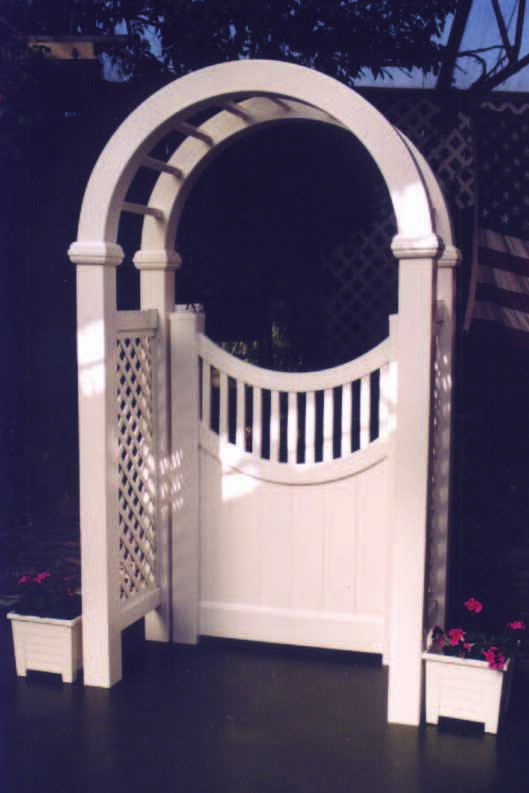 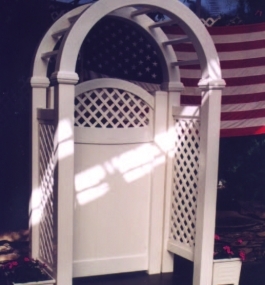 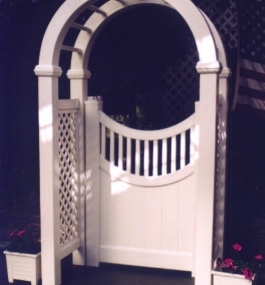 Enhance the look and functionality of your PVC arbor or pergola with one of these beautifully designed gates. 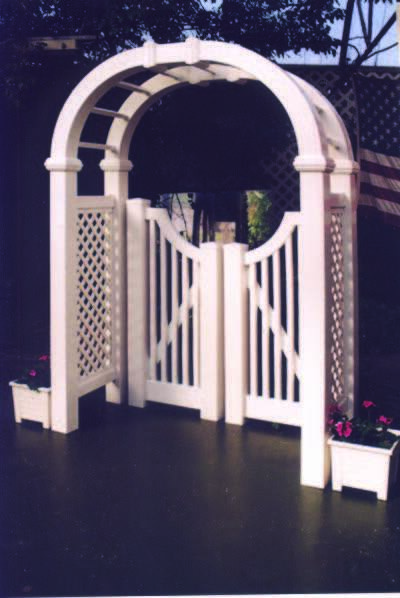 Our Resort Line combines high-end styling, expert craftsmanship, and maintenance-free PVC. 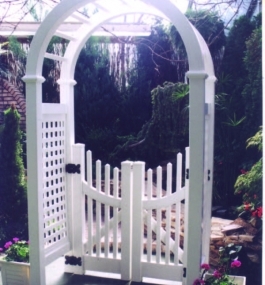 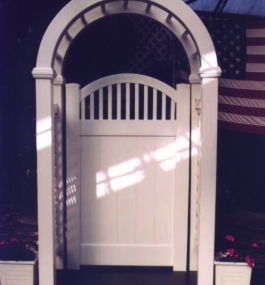 All gates are available in single or double swing and can be made in custom sizes. 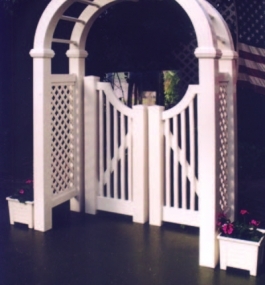 Gates and arbors/pergolas are sold separately. 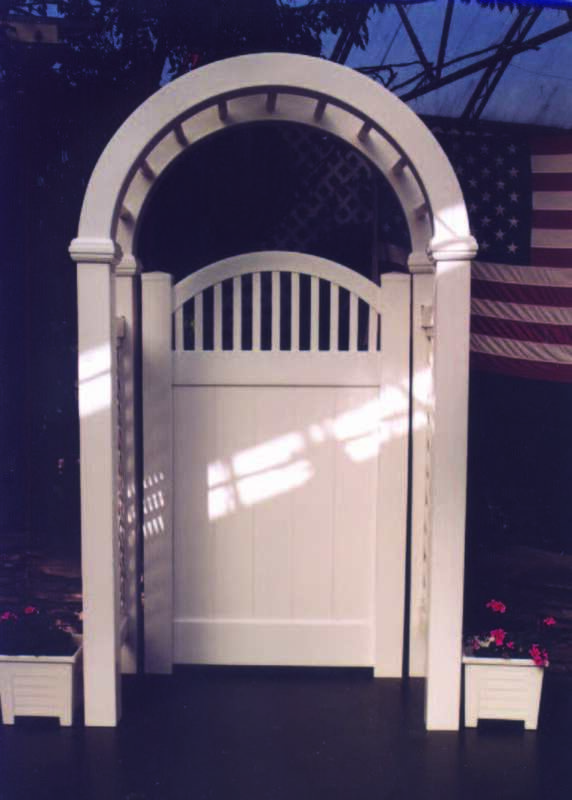 Available in heights of 4’, 5’ or 6′ – and in widths of 3′, 3-1/2′, 4′, 5′, 6′, and 8’.